You don’t need a reminder if you’re in Mumbai for Ganesh Chaturthi, the beating drums on the streets announce loud the arrival of Bappa. Ganesh Chaturthi is not just a festival, it means so much to people. Families eagerly wait for an entire year to celebrate this festival. Lord Ganesha is the Lord of wisdom, prosperity, security, happiness, success, education, good fortune, and destroyer of obstacles. Son of Lord Shiva and Goddess Parvati, he is superior to all Hindu Gods and is always worshipped first. Bal Gangadhar Tilka, the man behind uniting people without breaking any laws, the birth giver of Ganesh Chaturthi. He used Ganesh Chaturthi as a platform to unite the Indians against the British. Unaware of the bigger picture, The Police (under British rule) aided the nationalistic movement for Freedom. 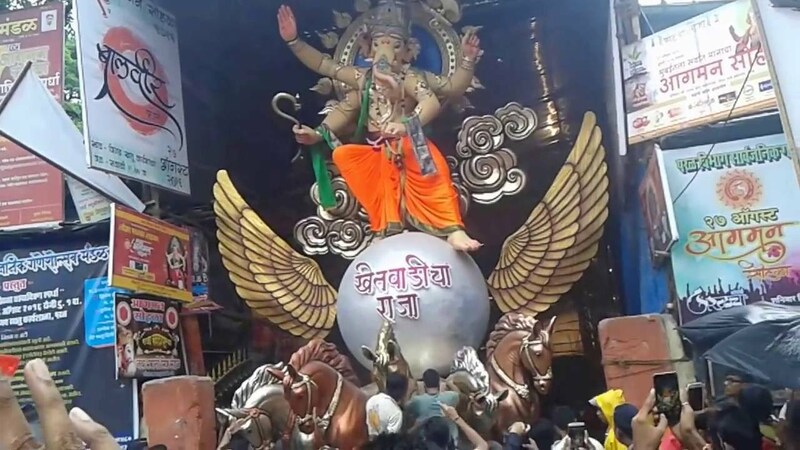 Statue of Lord Ganesha would be installed in different key places of Mumbai, pandals were created to gather more and more people, many leaders of different caste and creed would deliver patriotic speeches during this 11 days of festival. This is the festival that brought about a change and unity among Indians that helped in our freedom struggle. This idol of Lord Ganesha is believed to be Navsacha Ganpati which means 'the one who fulfills all wishes'. 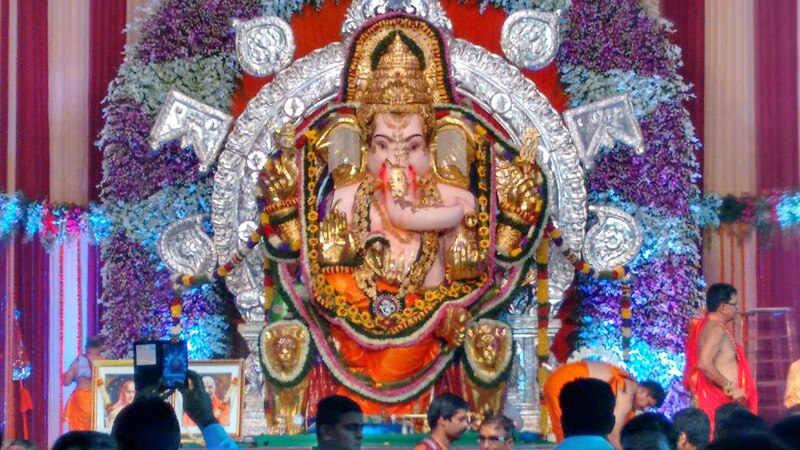 LalBaug is a prominent location in Mumbai and it does get a real struggle to witness this idol of Ganesha. You might have to wait hours in line, sometimes a whole day but when you finally see the idol, you’ll know why it’s worth all the pain. One of the most creative pandals in Mumbai, Ganesh Galli Cha Raja is located only a few gallis away from LalBaug Cha Raja. Enactments from the epics Ramayana and Mahabharata are presented to review our country's rich culture and heritage. 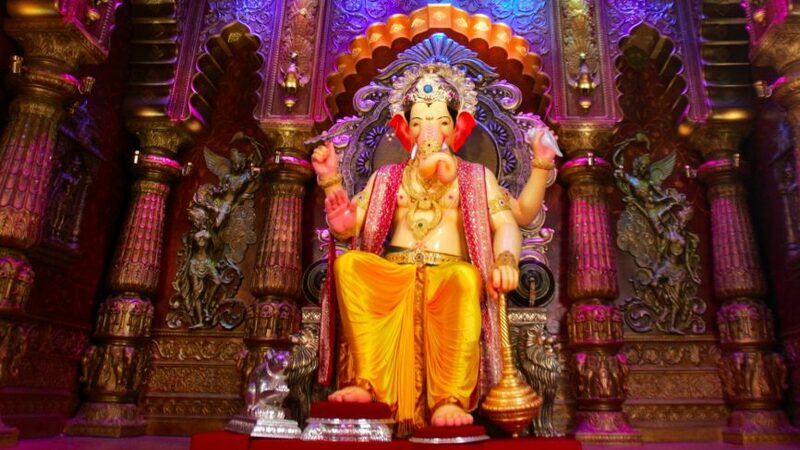 Khetwadi Cha Ganraja’s major claim to fame was in 2000, when it created the highest Ganpati idol ever – 40 feet tall. Just like we love to adorn gold jewelry during important functions, similarly The Khetawadi Ganraj is bejeweled with real gold jewelry studded with diamonds during Ganesh Chaturthi. South Mumbaikars have Lalbaug Cha Raja, the centrals have Andheri Cha Raja. Located in Azad Nagar, this pandal is known for its simplicity. On its golden Jubilee in 2015, its clothes were designed by an internationally acclaimed fashion designer, mukut was of whopping of 1.25 crores value and it was the biggest Pandal in the city. This pandal is often visited by celebrities. 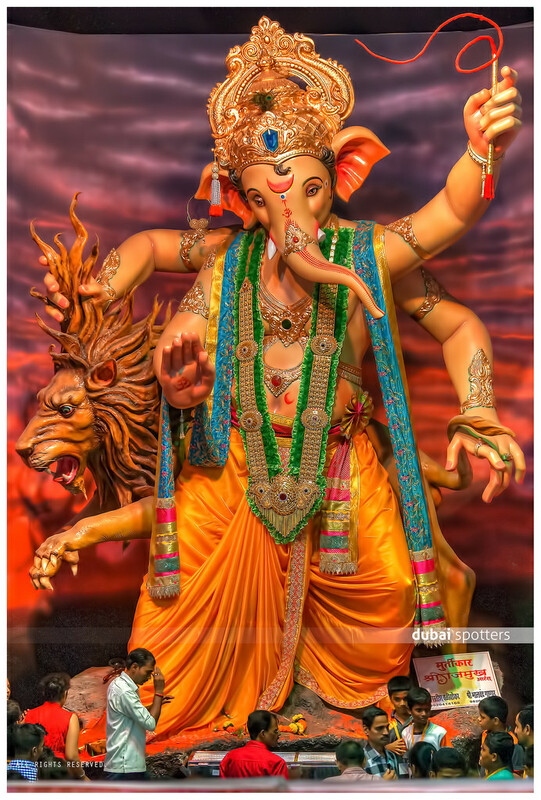 Known as Mumbai’s gold Ganesh, GSB Seva Mandal makes their idol of ganesha out of eco-friendly clay. It is known as gold Ganesh, because a massive 60 kg of gold is used to adorn the idol along with 175 kg of silver. Also, instead of playing blaring recorded music, traditional Indian musical instruments are played.